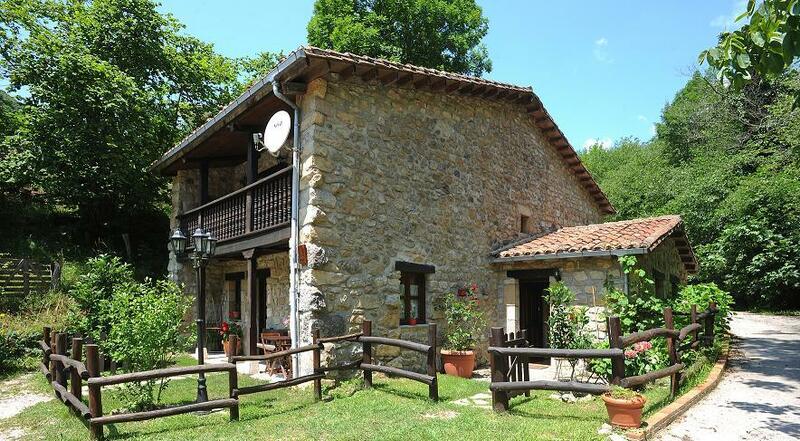 Our houses (Rio Aliso Cottages) are located on the outskirts of the little village of Llonín, in the boundary of the Picos de Europa National Park. The coast and beaches are located about 25 min. driving. This big Asturian House has been divided into two individual houses, with everything you need for an unforgettable stay. The decoration tries to evoke a warm and rustic atmosphere, without forgetting the comforts of modern life. – Kitchen: Fully equipped with oven, vitro, microwave, refrigerator, washing machine, dishwasher, toaster, teapot and all kind of utensils. – Living room: Tv, HI-Fi equipment (with CD and DVD) and board games. – Bathroom: With shower, welcome set, hairdryer, towels… and one baby bath. – Rooms: One double room and a room with two beds, with all the necessary bedding. – one/two extra beds in case neccesary.